Ms. Duarte had a commanding presence. When she spoke, we listened. And so, when she announced a spectacular prize, we knew she meant business. All we had to do was think of anything in the world that did not have a name. Seemed easy to us fourth graders. At that age you believe anything. Needless to say, no one got the prize, but we surely were introduced to Nouns, both proper and common. I learned very early that a name has a great deal of value. I loved mine for sure. Not everyone could call me by my nick name. That was reserved for special people only. And then when my baby sister arrived, I took it upon myself to give her a nickname too. My name had a history and an elaborate naming ceremony. I’ll reserve that for another post. I rose to add to that name a bunch of superlatives as I cruised through school, and college. My name was my being, in essence. It gave me recognition and more importantly, a place that was earned in the world. Over the years, I learned that a name spoke volumes about a person. It was the foundation of all relationships, personal or professional. There was a reason we recall certain names at the drop of a hat. There also was a reason why some eluded our memory altogether. 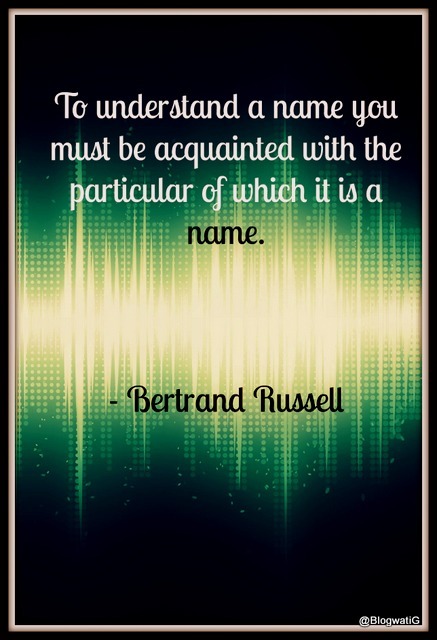 And every time I came across a new name, I’d make it a point to know the back story, like the origin, the meaning, the variations and any other trivia I could gather. No wonder then I had the name of my first-born figured even before I got married. Yes. You get the drift? My little exercise wasn’t limited to people. Animals, birds, stores, brands and products, you name it and I’d research. And it was during one such twitter activity that Black Dog Whisky got my attention. Why would someone name a hard liquor brand ‘Black Dog’? Well, one could assume that the whisky had been named after the owner’s faithful dog who happened to be black, no? Maybe a Labrador or a Pomeranian, but faithful as ever. However, my spidey sense knew better. Not everything that meets the eye is as clear as daylight. Ergo, I sharpened my research tools. Thank God for the World Wide Web! And so as it turns out, a certain Scotsman in British India set out in search of an impeccable Scotch whisky. The year was 1883, and the man was none other than Sir Walter Millard. His journey took him across the Speyside region of Scotland to Leith in Edinburgh. It was here he chanced upon the MacKinlay family known as the ‘Scotch whisky blending royalty’. Together with James MacKinlay, he created the historic blend that was to go down the annals of history as ‘Black Dog’. Now Sir Walter Millard loved fishing and was a keen angler himself. The whisky got its name in honour of his favourite salmon fishing fly used in the Spey and Tay rivers of Scotland since the early 19th century. And THAT was the backstory of Black Dog Whisky. And yes, today, more than a hundred years later, Black Dog Whisky remains faithful to the original blend. Ah, well, sometimes you get the attributes right the first time. So, what’s your NAME story? YESSsssssssss it is all in a name.. totally agree with you on every point.. I had a a nightmare just because of a name ..